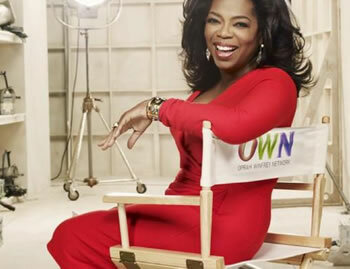 Shocking News... A Haitian photographer was arrested by police in Haiti for taking pictures of Oprah Winfrey... Can you believe this? The Haitian media have complained many times for lack of respect from the presidency, Haitian and foreign authorities, and now Oprah Winfrey too? Here is the big surprise: Oprah's camp say they didn't realize the man was a legit journalist and not a paparazzi... A Paparazzi in Haiti? No way! "A fellow member of the press [I'm guessing the foreign press] actually saw a guard drag the Haitian photographer into a small police station at the camp where Sean and Oprah were visiting. The police interrogated him for over and hour and a half, insisting that he erase his camera memory if he was to be let free. Finally, a senior police inspector arrived ordered the photographer released. Winfrey's spokesman Chance Patterson later said the guard didn't realize the man detained was a journalist." Wow... Ala Mize pou La Presse Haitienne! She is a public figure who's used to having her picture taken. EDUCATION, EDUCATION, EDUCATION, WE MUST EDUCATE THE POLICE, THE JOURNALISTS, WE MUST EDUCATE THE NATION. It is unclear why the Haitian Police got themselves involve into arresting a photo- jounalist taking a few historic pictures of Ms Oprah Winfrey's visit to Haiti. This is not the role of the police, unless there is some sort of harassment to the person.Her body guard would have dealt with that. Ms Winfrey is a public figure, a celebrity accustomed to have her photograph taken; therefore, acceptable.